Under its pristine white exterior, it hides a sample-based synthesis engine capable of getting down and dirty. The guys at Avid paid us a visit last week and gave us a quick rundown of the unit. With so many DAWs (Digital Audio Workstations) on the market, a very commonly asked question is, which is the best? However, whilst most people would just like to receive a straight-forward answer, the cold, hard truth is that there really isn't one that is considered 'the best'! It is much like asking, what is the best song ever written? Or who is the best guitarist ever? Whilst you will hear similar names being thrown around, not everyone will agree because everyone has their own opinion.Deciding which DAW is best for you can often be the most difficult decision you will face when it comes to starting out on your music production journey. However, it’s a difficult decision for a good reason! The DAW that you choose will most likely become the heart of your studio… it will dictate how you work, what you can do and what other software you can incorporate into your set-up. It’s a decision that is worth getting right first time, as swapping your DAW platform will not only cost you money, but it will set you back as you will need to relearn the layout and functions of a brand new program all over again! Check out the Novation XioSynth 49, which we currently have in at a massively reduced price of £179! As well as being a 49 note MIDI controller, the XioSynth is also a mono-timbral synthesiser with 10 voice polyphony! It includes 3 oscillators (each with a choice of 17 different waveforms), a filter with a selection of types, 2 LFOs (each with a selection 32 waveforms), an arpeggiator, and a multi-effects board. It comes with 200 onboard patches and enough dials to allow you to tweak away, and to add to the appeal of this product, 60 of the onboard sounds are programmed by industry leading artist such as Roots Manuva, James Zabelia, Ferry Corsten, Shimon, Rennie Pilgrem, and Skeewiff! I am just about to take a look at 480 instruments and 30 Kits from both vintage drum machines and acoustic kits, all in one drum solution, made of a software application and a dedicated hardware controller. It is the new Arturia Spark creative drum machine, announced at NAMM this year, which combines multi-layered drum samples from all the vintage greats and adds power with Arturia's TAE Analog Synthesis and physical modelling. Check out this video featuring a live recording session with Myles Sanko! The equipment used includes a Focusrite Saffire PRO 24 interface, a pair of KRK RP6 monitors, a Blue Bluebird microphone, plus Pro Tools 9 with the Focusrite Midnight plugin suite, which provides the compression and EQ. The Focusrite Saffire PRO 24 is a 16 in / 8 out, bus-powered FireWire audio interface, featuring two high quality Focusrite Mic Preamps. It forms the basis of a high quality, incredibly portable professional recording system, and we think you will agree that this recording sounds spot on! XLN ADDICTIVE DRUMS MASSIVE JUNE OFFER! 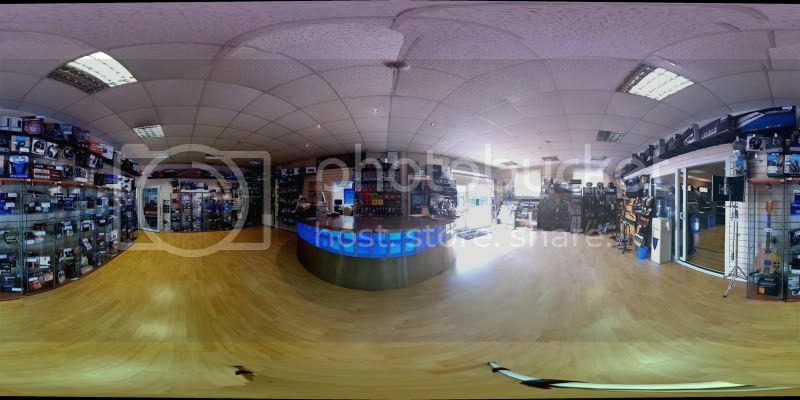 Ever wanted to know what our store looks like? Yo, dudes and dudettes!!! We at Absolute Music are, like, totally ‘stoked’ to have the new E-MU LONGboards in! No, they’re not the longboards that you may have heard of before, i.e. the ones with wheels that allow you to skate around town! These LONGboards are keyboard-type instruments with ‘gnarly’ sounds! Boss! …and for those of you that haven’t just looked at the online ‘Surfin’ Slang Dictionary’, that basically just means that they are pretty awesome!